Nizhny Novogorod today is really two cities. The upper city is on the hills of Verkhnie Pechory (upper caves) and the lower city is the other side of the river Oka. If you are planning to come and see us, you have to bear in mind that our metro is quite unusual. It doesn't go into the historic city centre, only to the industrial districts. My colleague Vladimir lives in a town nearby called Bor. His journey to work every day is trouble free, so he is always cheerful and talkative in the morning. I live in Nizhny Novgorod itself, or Nizhny for short, so my journey to work is through the traffic jams over the Kanavino Bridge. When Vladimir sees me arriving exhausted he often comments that his journey to work from another town takes the same time as mine. He used to rent a flat in Nizhny, but then he went back to his town and has no plans to move back. Why would he? Just to get stuck in our traffic jams? Twice a day, at rush hour time, life in our city grinds to a halt. We all hope that in a year or two the «building project of the century» will at last be completed and the upper part of the city will be connected to the river part by a metro bridge. In Moscow the crisis was already in full swing, but we were still taking on new people at work and not calling in old debts from clients. In the office I heard the joke that the crisis started in Nizhny because a bank employee had failed to go and fetch the cash, so he hung a notice on the door of the bank saying «No money». Nizhny Novgorod is an engineering city and it's this branch of industry that has suffered the most. The situation at the Gorky Automobile Factory (GAZ) is quite complicated. The first wave of redundancies reduced staff numbers at GAZ from 115,000 to 89,000. There are plans to make another 20,000 redundant. The part of the city where cars are produced has always been the least safe for late night strolls, but with so many redundancies at GAZ, which is the city's main employer, I try not go to there at all. One of our journalists went on maternity leave last year. She already has a small child and her husband works at GAZ. He was put on a 3-day week and his salary went down to 12,000 roubles (388 USD). Fortunately the factory has recently returned to its former work schedule. My friend Alexei Kuznetsov is an engineer at a big mechanical engineering plant. In recent years salaries there have almost doubled, so he acquired a credit card and started taking driving lessons. My friends tease him about being a spendthrift, because these days only he can spend what he does on new clothes. When the crisis started Alexei started noticing more and more new faces in departments near his. People made redundant by private firms had come to work in a state company. Salaries may be lower, but at least there's stability. Recruitment agencies have noticed that most in demand are specialists with some kind of experience of getting through a crisis. The director of the Nizhny office of Kelly Services Svetlana Neznanova says that if you compare the prospects for managers aged 30 or 35-40, the second group are preferable because they were working at the time of the default in 1998 and this difference has now become more marked. Alexie has lived for many years in a separate flat and is not dependent on the family budget. Recently he has been supporting his parents financially. He says that «when the crisis started, the building materials factory where my mother was in charge went into administration. She wasn't unemployed for even a day, as the Building Ministry immediately offered her a job. Now she has her own office with a wonderful view out of the window. The work is not stressful - so it seems as though it's all good. But the salary is 12,800 roubles (less than 300 euros!). It's almost as if the post is allowing for its occupant to take bribes. 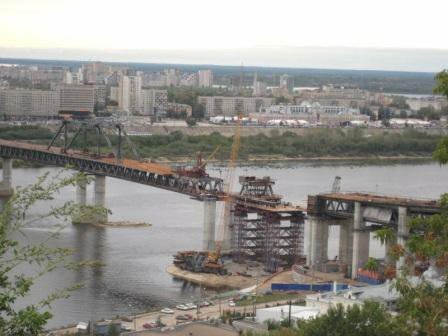 The past few years have seen a real building boom in Nizhny. According to official statistics the average amount of living space for each inhabitant of the city is 31 sq m.
For several years now our city has been the leader in property price rises in the Volga region. My friend Alena Sergeeva is an interior designer. She and her sister have been working together for many years and it is no surprise that Alena has always dreamed of having her own flat. A couple of years ago she and her husband Alexei were planning to buy one. Alena sold her flat in her home town of Arzamas and hoped that she would have enough to buy a flat in Nizhny. Then the crisis started and not one bank would give the Sergeevs a mortgage. Alena says it would probably be better to stop dreaming of a beautiful future and concentrate on what they've got. She is now making what they have habitable - the house belonging to her parents-in-law. The crisis has meant that many building projects have been frozen, so there are fewer house-warming parties. But there are still just as many conflicts over the resettlement of people from the city's ancient housing stock. More often than not land for social housing is allocated on the outskirts of the city, but not everyone living in old housing in the city centre is mad keen on going to live on an unknown street in a dormitory suburb. There are many protest demonstrations about this and endless court cases. My friend Katya Shkuleva is a language specialist, but she is working as a policewoman. She was not able to find a post teaching Russian language and literature when she graduated, but she happened to hear of a job going in the Arrest Squad of the Special Purpose Police Unit (OMON). What's to lose? She's tall (1.75m!) and strong, she goes trekking and runs every morning. She decided to try her luck in a completely different field. One of her most vivid memories of the work is to do with the part she played in the 2007 March of Dissent. «I was at the hairdresser having my fringe cut, when I was summoned to work urgently. Late that evening we set off out of town to meet the Moscow train which was apparently bringing extremists to Nizhny. I went into one of the compartments: everyone was peacefully asleep, not an extremist in sight. Back to Nizhny. In the morning a few people who had come from Moscow had been arrested at the station. I didn't get home for 2 days! None of us were allowed into the centre of the city, where the action was, so I fortunately was not involved in the beatings and the dispersal of the March. They used OMON detachments from other cities for that». Katya doesn't complain about her life, but understands nonetheless that it's not the job for her. She would like to become a photographer for a local magazine quite soon, so as to put as much distance as possible between herself and any demonstrations. There were 3 Marches of Dissent in Nizhny during Vladimir Putin's presidency. What do we have to be so discontented about in Nizhny? To judge by the new cafes, shops, studios and beauty salons, dental practices and hotels, small and medium businesses have at last really got off the ground here. But our businessmen complain - what has our government done for us that we should love them? It's set up 46 offices to check our companies: 8 of them have the power to close down businesses or put their activities on hold for a month or two. Not all the inhabitants of Nizhny will remember Putin's presidency with nostalgia and Stanislav Dmitrievsky, the well-known human rights activist, is one of the people who won't. He was at one time head of the Russo-Chechen Friendship Society and was given a provisional sentence for inciting racial hatred. After a short time his organisation was closed by court order. A year later Stanislav was on his way to Moscow for the funeral of a friend: Anna Politkovskaya, the Novaya Gazeta journalist, had been killed. The other day I met Dmitrievsky. He was very pleased, because his book on the Chechen War had just been published. He had been working on it for the last 3 years and told me all about the good quality binding and glossy paper with a huge smile. Then he told me of his sadness when the police took 12 copies off his friend as he was coming into Nizhny. My friend Yelena is kind and smiley. She is studying to become a microbiologist. She describes herself as a «dark horse». Lena is a National Bolshevist, or nazbol. She was arrested for «sticking up leaflets without permission», she was interrogated and personally searched, as were her friends - as they always are. Once she was taken away from a lecture at the university, so I pretended to be a journalist and rang the police to find out where she was and if she was all right. She rang 10 minutes later to say she'd been released without charge. Her friend Yuri is the same age as us. He spent a year in prison for the so-called occupation of the presidential waiting room (at that time Putin was still president). There's nothing particularly surprising in this! Nizhny gave Russia its main nazbol: Eduard Limonov was born in Dzerzhinsk (a town in the Nizhegorod region) and the famous writer and nazbol Zakhar Prilepin currently lives and works in Nizhny. There are plans to build an atomic power station in Nizhny in the near future. Many of my friends work in firms which are part of the «Rosenergoatom» concern. For them the construction of an atomic station is a profitable project meaning more jobs. For representatives of local environmental groups and ordinary inhabitants of the city this is a dangerous nuclear facility which will be right in our midst. Askhat Kayumov, director of the Environmental Centre «Dront» («Dodo»), was not at all surprised to discover that a social survey showed 77% of people were against the construction. He remembers the promise made by Sergei Kiriyenko, head of Rosatom, that local opinion would be taken into consideration. So who will operate the atomic power station and how? Where will the radioactive waste be stored? Will there not be an increase in cancerous diseases? What is the chance of an accident at this modern reactor? How will the atomic power station affect our flora and fauna? We would like answers to these questions. There aren't any yet and the people of Nizhny understandably object. The problems that concern us today are of varying shapes and sizes. The owner of a shop selling things for children near where I live says there has been a real baby boom in the last 5 years. With increased salaries people are more ready to have children and buy them expensive, good quality clothes, toys etc. There has been no reduction in demand in Andrei Yakovlev's shop: people are still trying to give children everything they need, even more. But what will happen if the birth rate falls again? My friend Alexander is a mechanic at a factory. In the summer he takes his holiday in his home village so as to be able to help his mother with her kitchen garden. 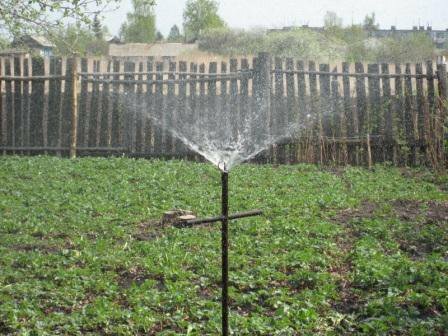 Vera Vasilievna grows cabbages, potatoes, cucumbers, tomatoes, carrots, onions and dill. Also strawberries, which she sells. Sasha leaves for the village with just one bag, but always brings 2 back with him. His mum gives him fruit and vegetables from her allotment. There may be a crisis, but it doesn't affect the harvest and there's no reduction in the agricultural work to be done! My other friend Nastya Ivanova doesn't like going to the country, but has decided to save money by not going abroad this year, so is in Nizhny for the whole summer. Nastya is very upset that she has not been able to engage in her favourite sport for a whole week: the recent storm has meant that the road where she rollerskates is covered with mud. 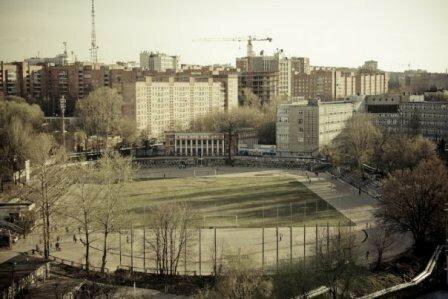 In the centre of Nizhny there's one stadium («Vodnik»), where entrance is free. It was built before the war, in 1937. Now it's almost a ruin, because the crisis means that the reconstruction which was to have started last autumn has been put on hold by the developer. Nastya says the mayor announced on TV that he would allocate funds from the city budget, but he seems to be in no hurry to fulfil this promise. As you see, life in Nizhny doesn't stand still. But it's not only petty financial questions that take up our time - I think people are now able to think about the future without the fear there used to be. Some change their job, others start doing repairs at home or get a pet... People are still buying on credit! Last year at work there were more pregnant women than ever before. And friends seem to be getting married one after the other. What will tomorrow bring? I don't think it'll be anything we can't cope with. 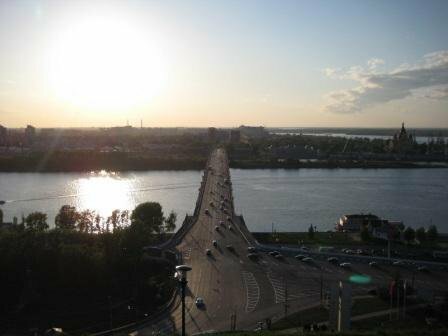 Nizhny Novgorod is Russia's fourth largest city with a population of 1.3m (2009 estimate). From 1932 to 1990 the city was known as Gorky. It is an important economic, transport and cultural and academic centre with an interesting history. In 1612 the 'Nizhny Novgorod national militia' helped to put an end to the Times of Troubles and to establish the rule of the Romanov dynasty. The city prospered in tsarist times and its annual local fair became Russia's most important trading and cultural event. In Soviet times the arms industry production and research facilities in Nizhny Novogorod meant that the city was closed to foreigners. Andrei Sakharov, dissident physicist and Nobel peace laureate, was exiled there from 1980-1986 to restrict his contact with foreigners. The regional governor in the 90s was the young, energetic Boris Nemtsov, now one of the leaders of the anti-Putin opposition. During his term of office Nizhny Novgorod stood out as the region implementing radical market reforms.